Fashion Preserve: A Day at the Races: But which Hat? Just learned that after 15 years of living in England, I'm finally getting the opportunity to attend Royal Ascot, a day of racing in the presence of Her Majesty the Queen, and arguably the high point of the British social calendar. Her Majesty’s Representative wishes to point out that only formal day dress with a hat or substantial fascinator will be acceptable. Off the shoulder, halter neck, spaghetti straps and dresses with a strap of less than one inch and miniskirts are considered unsuitable. Midriffs must be covered and trouser suits must be full length and of matching material and colour. Gentlemen are required to wear either black or grey morning dress, including a waistcoat, with a top hat. A gentleman may remove his top hat within a restaurant, a private box, a private club or that facility’s terrace, balcony or garden. Hats may also be removed within any enclosed external seating area within the Royal Enclosure Garden. OK, enough about the men, who cares, back onto the ladies. How to pick a hat for such a chapeau-centric event? What decade? What style? What price? 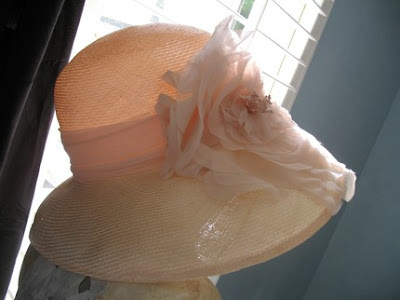 Whether you're attending Ascot, the Kentucky Derby, a splashy wedding, or garden party, I think the answer ought to be vintage, but more importantly, think less about making a "statement" with the hat (which is likely to come off as cartoonish) and more about looking amazingly gorgeous in it. This means knowing what kinds of hats suit you. This further means going to a vintage fair or large vintage shop, or a good department store, or even a mall accessories outlet like Claire's (US) or Accessorize (UK) and trying on a bazillion different hats to see what works, as a first step. If you're lucky, you'll find the perfect hat this way, but if nothing is quite right and you'd like to have a go at the much wider and typically far-better-priced offerings of the online vintage world, more steps are necessary. First, measure your head's circumference around the brow with a tapemeasure, and write this down. Never buy a hat that does not meet or slightly exceed this measure, for it will drive you mad otherwise. Now you are ready to consider shopping for a hat online. What sort of hats suit you? I know I can't wear: pillboxes, cloches, sculptural caps, black. Wide and medium brims work, but not too wide, because you need to be model-tall to carry these off. 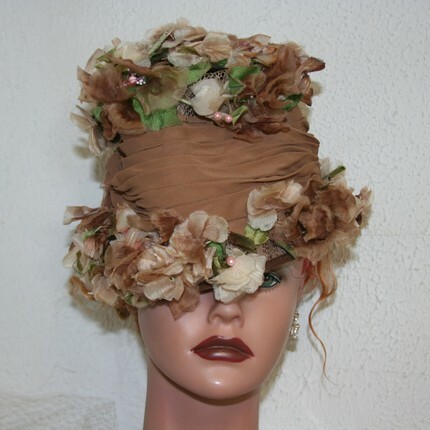 While I love the idea of hats of lots of old vintage trim, this can very often looked faded and tatty with age and the effect is less garden party than Miss Havisham gone to seed. After a long troll through eBay and Etsy, I came up with these candidates . . . The hat at top, a vintage number from Atlantic City, appeals because it is such a feral hybrid of a top hat and an old-lady floral. The colors are great too. If I could look half as good in it as the flipping hat dummy, I'd be doing very well with this item. The middle entry is not terribly old--from the 80s, and the freshness really shows. Plus, its construction is immaculate, and as picture hats go, it's dramatic without veering into ridiculous (you should see some of the gear they wear at this event). The slight downside is the price, which is probably more than I would consider for an item I couldn't try on. 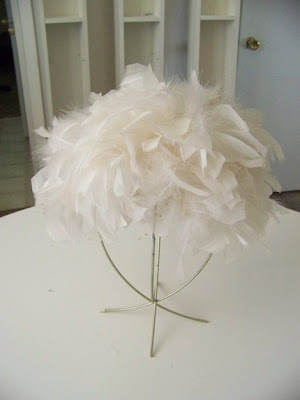 I'm very much in love with the feather headdress at bottom, which looks like it would rest like a cloud upon your head. And I have to admit the seller is doing no wrong by evoking church ladies and their magnificent hats in her title for the entry. Decisions, decisions. But what happy ones. Such a tease! More details on your invite to Ascot, please. Your prose, as always, is fabulous. Has it really been 15 years?? Sigh. Such beautiful selections, I would never be able to choose between the three! How lucky of you to be going to Ascot, you must tell us more, we will have to live vicariously through you!